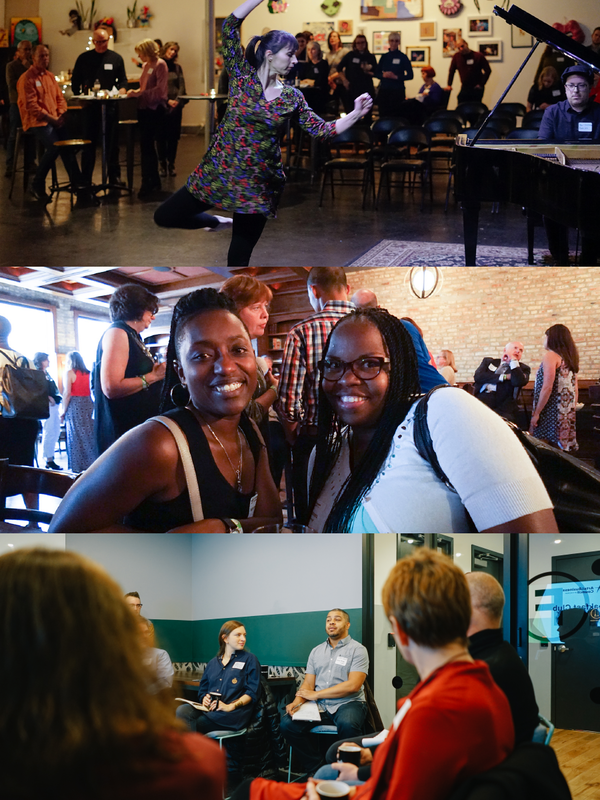 Become part of a growing dialogue between business and arts leaders and help impact the Chicago arts scene! See performances that will set your mind on fire. Engage with the arts more deeply as you learn how artistic innovation can enhance your perspective in business and administration. Support us as we help support the arts. For the annual rate of $250, receive year-round benefits! Discount for Members! Take a new professional headshot and refresh your LinkedIn profile for the New Year at Headshot Happy Hour. Exclusive for Members! Free tickets and art offers—theater, dance, music downloads, and more! Exclusive for Members! Art-making event hosted by a local arts organization. Get your hands dirty and meet new people! Exclusive for Members! Free tickets and art offers—who knows what cool things you’ll be able to choose from! Free for members! Holiday Wonder, our casual holiday social. Glitter optional.